The 2018 Jaguar XJ is available at our Conway area dealer and showcases the finest that the British automaker has to offer. This is a luxurious sedan without rival with the latest in advanced technology, superb amenities, and expert craftsmanship in every detail. It roars to life and gives you the ability to outpace other drivers with ease while you relax in supreme comfort. There are quite a few different XJ models and each offers its own special assortment of amenities and engine options for those that want more power. Some of the most popular trim lines include R-Sport, Supercharged, Portfolio, and XJR575. You can check out some of the key features of each to see which one has what you’re looking for. Each of these different XJ models delivers both inside and out, but each also offers something a little different in terms of styling, amenities, and performance. When you come to check it out at our Conway area Jaguar dealer, you can be sure that you’ll get features like a 10.2-inch touchscreen that delivers easy access to navigation, apps, and music at your fingertips. You are also guaranteed a handcrafted veneer throughout the cabin that welcomes you and your passengers in for an unforgettable ride. Finally, adaptive front lighting will make sure that the road is brightly illuminated so you can truly see what lies ahead. 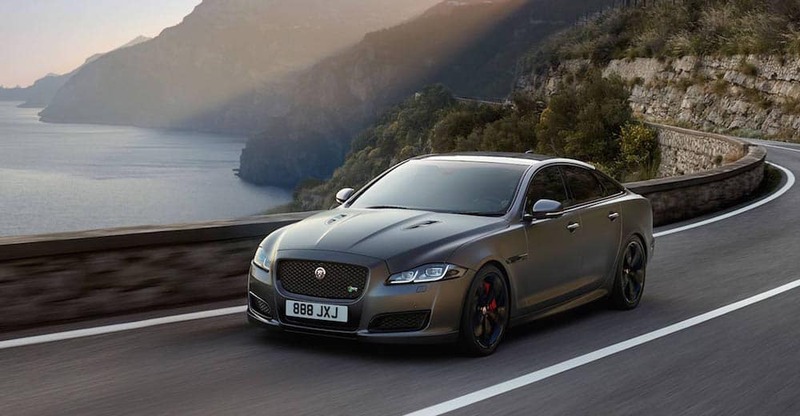 For more information about the 2018 Jaguar XJ, contact Jaguar Little Rock at (833) 664-6125 to schedule a test drive.